Up to 8,000 communities across Europe can now look forward to free EU-funded Wi-Fi. On Tuesday May 30 the EU Parliament, the Council, and the Commission agreed to spend 120 million EUR on the WiFi4EU project. The European Commission released this statement on the decision. The project was first announced in September last year by Commission President Jean-Claude Juncker in his 2016 State of the Union address. Since then, the EC has been frugal in releasing more information on the project, although the approach appears unchanged from the original plan: An EU city government or similar with a ‘public mission’ can request a grant that will cover the cost of Wi-Fi equipment and installation up to a value of 15,000 or 20,000 EUR. The EC says the first batch of funding will reach 20 million EUR growing to a total of 120 million EUR by the end of 2019. For disbursement, the EC intends to employ a voucher scheme where a local authority is granted a WiFi4EU voucher, which is then used to ‘pay’ the Wi-Fi solution provider for the network. The provider can then cash their vouchers with the EC. The grants will not cover network operational costs. Additional conditions state that WiFi4EU networks will only be built where a ‘similar public or private offer does not yet exist’, the factsheet says. Presumably, a ‘similar offer’ in this case refers to free private or public Wi-Fi networks and not mobile services, although this is not explicitly stated by the EC. 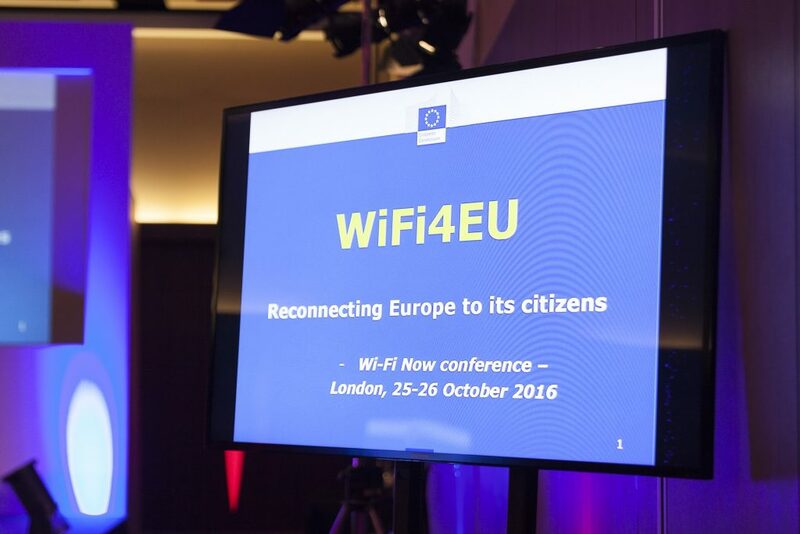 The EC intends to kick off the first round of grants ‘as soon as the WiFi4EU scheme is approved’ – which is now, at least in theory. But will the scheme work? That – of course – is the 120 million EUR question. The EC has already been criticised for not allocating enough funds per network build. But given that Wi-Fi networks can be built for what amounts to spare change compared to their mobile brethren, 20,000 EUR will go a long way towards building small but useful Wi-Fi networks for example for libraries, health centres, or similar public venues. Wi-Fi NOW estimates that about 15-20 indoor Wi-Fi APs can be purchased and installed for a grant value of 20,000 EUR. For outdoor installations, the number of APs per grant is probably half of that. 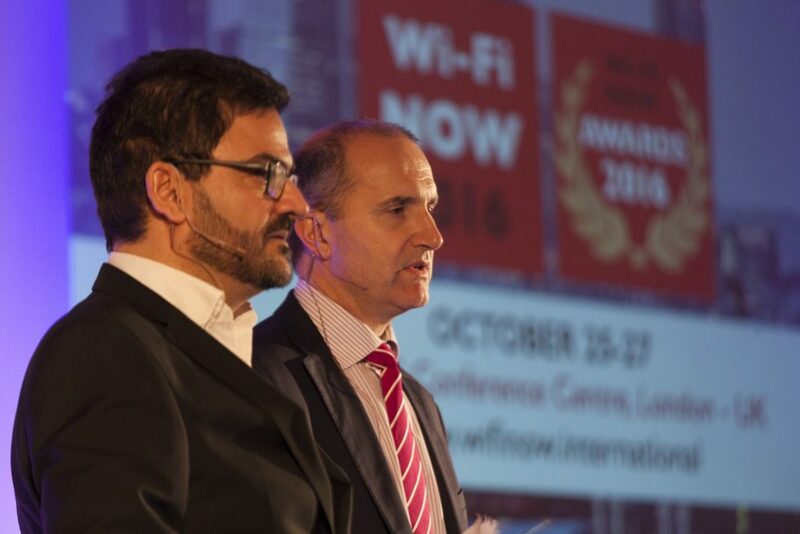 The EC’s Deputy Head of Unit in charge of WiFi4EU Hervé Dupuy (right) and Wi-Fi NOW Chairman Claus Hetting (left) on stage at Wi-Fi NOW London, October 2016. So if the EC is successful in finding takers and if 8,000 such networks are eventually built, the end result could be a whopping 120,000 Wi-Fi APs serving millions of users with free Wi-Fi across the EU. The EC cites a goal of 40-50 million connections per day, or more than 6,000 connections per day per WiFi4EU network. That’s a fairly ambitious goal. On the other hand, free Wi-Fi in the right underserved locations will no doubt attract a lot of users. After all, free is the ultimate unbeatable price. Add to that that the EC is likely to set a minimum speed requirement of perhaps as much as 30 Mbps for the service, sources say. Speeds like that should attract users in droves. If all of this pans out as planned by the EC, WiFi4EU will be a big boost not only to public connectivity but also to the growth of the Wi-Fi ecosystem in Europe. Local authorities building the networks will need to pay for operational costs. In most cases (since well-built Wi-Fi networks are largely maintenance free) this will amount paying for the backhaul (ISP) connection for the service and likely not much more. 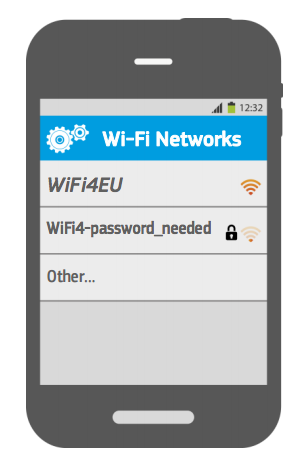 It’s still not clear how WiFi4EU networks will facilitate EU-wide WiFi4EU roaming and what operational costs this may introduce for network owners.